The poker table hire is a great fun casino game. The best ”poker table hire” for fun casino hire is the Caribbean stud poker, here up to a maximum of seven players take on the dealer in a round of five card turnover. The poker table croupier will explain all the rules and keep everything simple. With the poker table hire you get a great game and one where everyone is against the croupier. 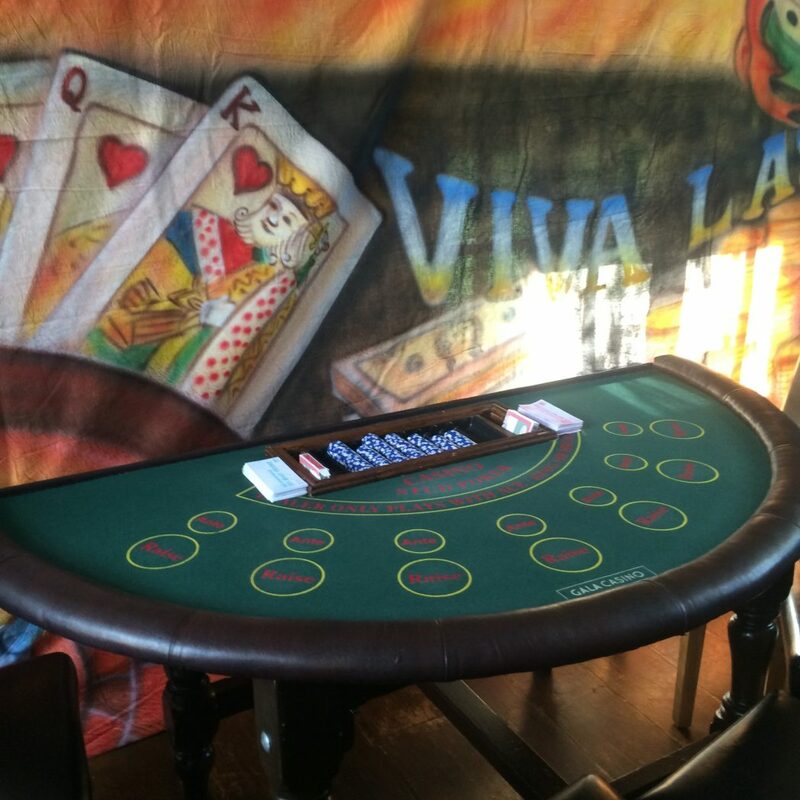 We also have the Texas hold ‘em poker tables, but these games can take a bit longer. The casino poker table is great quick fire fun for all the guests. The fun casino tables are played with fun money which is exchanged for chips. Here is a great chance to play all the casino tables without risking losing anything real. The poker table is a great game and is enjoyed by experienced players and newcomers alike. We always have the hand value guide on the table, so guests can check it out if they don’t know the value of their hand. Hire poker tables for a great fun casino night. We hire poker as part of our mobile fun casino packages. The poker table for hire is always a busy game. We hire fun casino tables throughout the UK and hire casino tables to European cities as well. Hire casino poker table for a different game at your fun casino party. The casino poker table hire is great fun. With the poker table hire, it is everyone against the dealer, so players can help each other out if new players are a bit confused. The poker table hire is best when it is complemented with other fun casino tables like the roulette table and the blackjack table. With the fun casino hire you get a great fun night, each table holds seven players minimum so you get games that will keep larger crowds occupied in a fun way. Poker table hire is great as part of our fun casino table package.